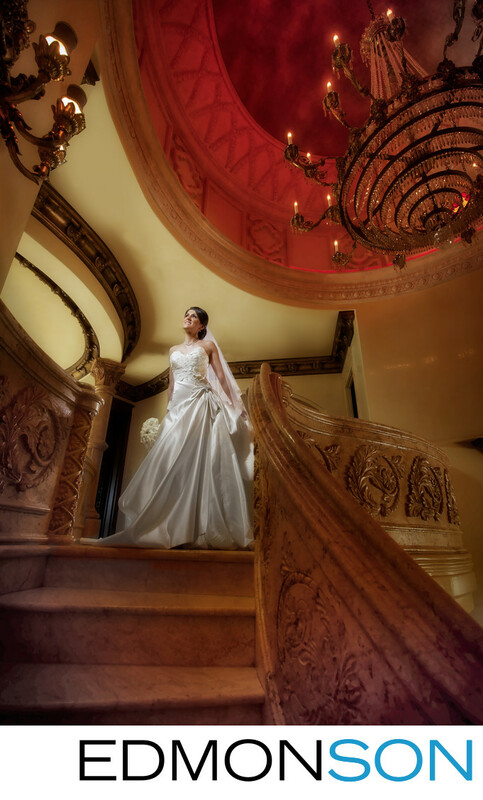 This lavish private estate provided the perfect backdrop for this Persian bride's portrait. Standing at the top of the marble stairs, the chandelier provides a feeling of opulence and elegance. 1/60; f/5.6; ISO 500; 14.0 mm.